Closeout. 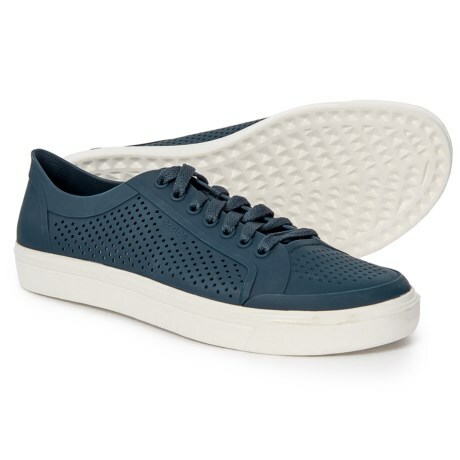 These Crocs Citilane Roka Court sneakers deliver old-school style in a lightweight, water-friendly design thatand#39;s at home at the beach or the park. Available Colors: NAVY/WHITE, BLACK/WHITE. Sizes: 4, 5, 6, 7, 8, 9, 11, 12, 13, 10.